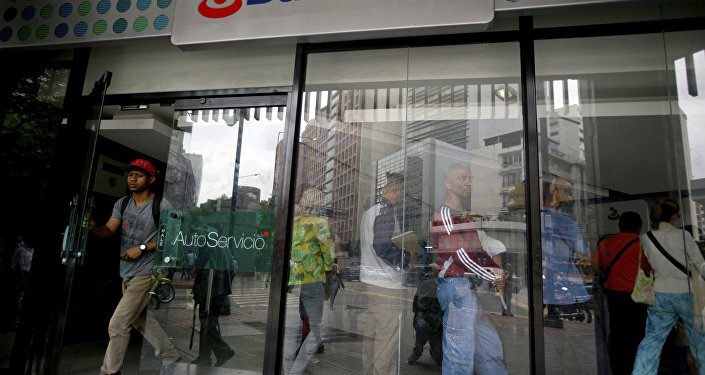 MEXICO CITY (Sputnik) - Venezuela launched an alternative market-based currency exchange system on Monday and the cost of the national currency bolivar fell by 35 percent on the first day of trading. The private platform Interbanex has officially become part of the country's currency exchange system, having obtained the necessary permissions from the regulator, the Central Bank of Venezuela said on Twitter. According to Interbanex, as of 28 January, the value of the US dollar was 3,200 bolivars, while in the official Dicom exchange system, the exchange rate was 2,081 bolivars. According to the Dollartoday.com portal, the dollar is worth 3,188 bolivars on the country's black market. The exchange rate on Interbanex is based on supply and demand, the platform said on Twitter. It stressed that it carries out currency exchange exclusively for individuals, operations are conducted from 6:00 p.m. on Sunday to 6:00 p.m. on Friday. In August, the National Constituent Assembly of Venezuela approved a bill on the abolition of liability for currency exchange-related crimes, allowing circulation of foreign currencies inside the country. Last year, Maduro announced that the country had launched a national blockchain of the petro cryptocurrency. The measure reportedly enables any Venezuelan to register in the blockchain and acquire petro for convertible currency. The cryptocurrency was officially launched in February 2018. Its value was pegged to the price of a barrel of Venezuelan oil, which Maduro estimated in early January 2019 at 36,000 new sovereign bolivars, four times more than last year. The minimal wage in Venezuela is reportedly 18,000 sovereign bolivars. Since August, Venezuela has had two currencies — petro and the sovereign bolivar, which was introduced to replace the bolivar over its hyperinflation caused by falling oil prices and general economic crisis in the country. The bolivar, however, also remains in use for the transition period. The government took over currency controls in Venezuela in 2003. It initially planned to drop three zeros off the bolivar in June last year but delayed the reform. Meanwhile, the ongoing crisis in Venezuela will continue to take a toll on the country's economy, resulting in accumulated GDP losses of more than 50 percent since 2013, the International Monetary Fund projected last week. "Real GDP is projected to decline further in 2019, bringing the cumulative decline since 2013 to over 50 percent", the IMF said in its newly published Regional Economic Outlook for Latin America and the Caribbean. The IMF cited plunging oil production and worsening conditions in the non-oil sector as the primary reasons for the country's GDP decline. Venezuela is suffering from political and economic crisis amid a global slump in oil prices, triggered by sanctions imposed by the United States. Recently President Maduro accused Washington of attempting to stage a coup in his country and moved to cut diplomatic ties with the United States last week after Venezuela's opposition leader Juan Guaido proclaimed himself country's interim president and demanded early elections. Guaido's attempt at usurpation was quickly endorsed by the US, Canada, about a dozen nations in Latin America and several European powers. Cuba, along with Russia, Mexico, Uruguay, China, Turkey, Iran and other countries have expressed support for Maduro as Venezuela's legitimate president.